Gilder Lehrman Collection #: GLC02429.55 Author/Creator: Hemans, Joseph A. (b. 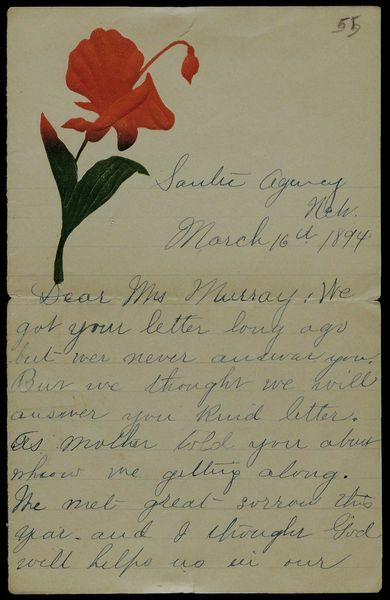 1892) Place Written: Nebraska Type: Autograph letter signed Date: 16 March 1894 Pagination: 2 p. ; 17.7 x 11.3 cm. Summary of Content: Answers her letter noting the hardship they have had this year and his hopes for God's guidance. Comments that it is spring, they are planting and the birds are singing.